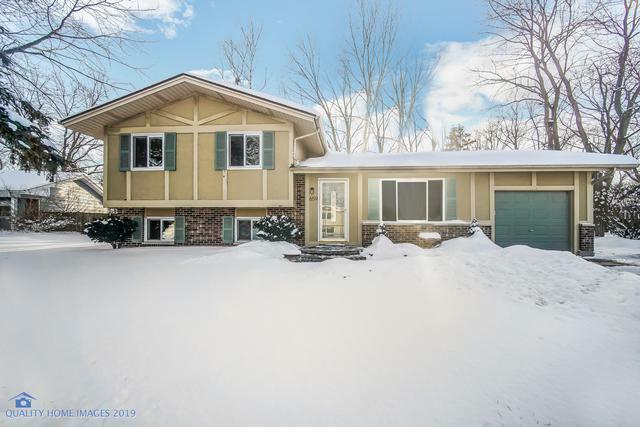 Spacious 3 bed, 2 bath quad level home with fabulous pool and fully fenced yard. Enter into the sizeable main level living room with beautiful Brazilian Cherry hardwood flooring that continues throughout most of the home and into the attractively updated kitchen with newer 42" cabinetry, ss appliances, granite counters, custom tiled backsplash, dual pantries and island that connects to the dining area with sliders to the large fully fenced back yard with pool and covered patio. 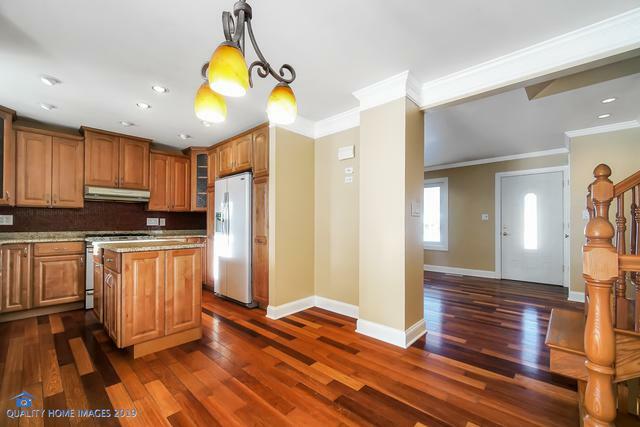 Upstairs features a huge master and large second bedroom, both with hardwood flooring and an updated full bath. 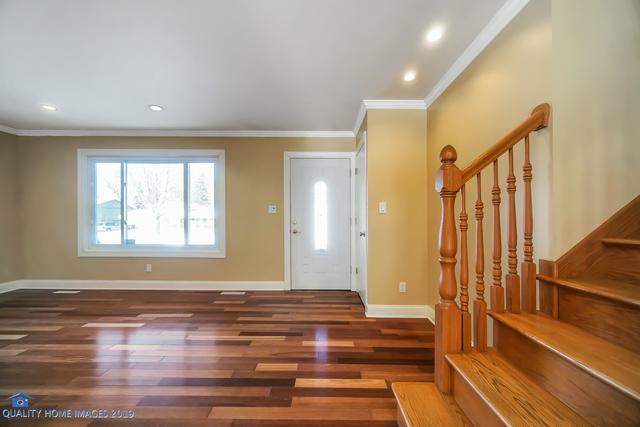 The lower level has a generous family room with hardwood flooring, another full bath and 3rd bedroom. Continue down to the sub-basement offering plenty of storage space, a rec room and laundry area. Attached one car garage. Excellent schools and great location near shopping, restaurants, metra and the interstate.